If you need some “fuel” in the Dolphin Hotel of Walt Disney World’s Swan and Dolphin, then look no further than… Fuel! 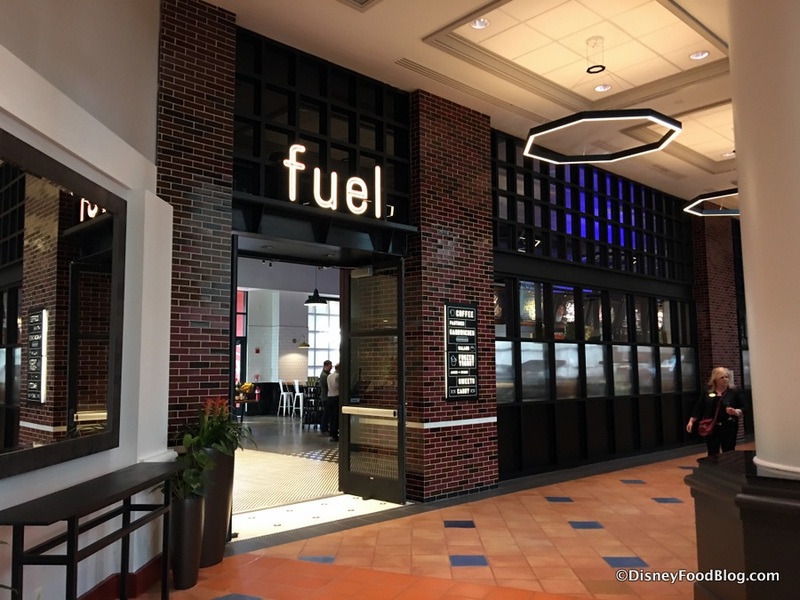 Fuel is a grab-and-go market, but it boasts a bit more than your typical snacks and sandwiches (though you’ll find those, too!). A specialty coffee and espresso bar and a DIY Frozen Yogurt station are among the offerings that elevate Fuel from your typical grab-and-go.